How can I ensure my tap water is safe to drink? Is there anything wrong with my tap water? Is tap water safe to drink? We hear this all the time. In general, the answer is yes, and in fact, very often tap water is safer to drink than bottled water. That said, increasingly we read of stories about people finding out that there are dangerous often undetectable chemicals and pollutants appearing in their tap water. You can no longer just assume that, “Nothing wrong with my water, it’s clear, tastes ok, and the city gives it to me so it must be OK!” Most contaminants have no taste, odour or colour, so how do you know what you are getting in your water? Well, the obvious answer is to test you water regularly. The best answer though is installing a MineralPro Filter system and be sure that it’s only stuff that is good for you. A water test is great but only tells you your water is or is not okay when tested. A MineralPro filter system installed and properly maintained provides you protection all the time, saves you money, provides peace of mind and best of all makes your water tastier and healthier. Unfortunately, many people seem to have their head in the sand when it comes to water. They will spend hundreds, if not thousands, on buying ‘organic produce’, health products, and nutritional supplements, yet they don’t treat their water with the same respect. Consumers, if concerned at all with their water, often buy bottled water without stopping to think that in most cases it is bottled “tap water”, that often is not any better for them than tap water. People seem to be conditioned to think that buying bottled water, not tap water is their best choice, and seem to follow along with the crowd without much thought! Most don’t stop to think of all the plastic going into the landfill, all the barrels of oil used to make the bottles, what is getting leached into their water from the plastic, not to mention figuring out how much they spend in a year on bottled water, or even questioned how their bottled water is made? A MineralPRO filter system will alleviate all of the above issues and not only save people money but give them a healthier, better tasting water right in their kitchen! Can I trust the quality of my tap Water? Many cities around the world are discovering every day new contaminants showing up in their water. Recently in the news, lead has been showing up in water in many cities. Schools have started testing their water and finding the levels of lead are very high. Other areas, such as in the southern US, are finding strange contaminants like “ rocket fuel”. We monitor news feeds every week and read the latest findings on drinking water, and the reports are frightening; our water quality is becoming concerning everywhere. The days of having a source of clean, safe water are coming to an end. Oil companies doing fracking are injecting water laced with chemicals thousands of feet into the ground and groundwater is becoming contaminated in many regions. Why can’t my cities water treatment plant protect me? One of the problems is our cities do not have the required procedures to test for most contaminants. To complicate matters, when chemicals get mixed they create new compounds which are often even tougher to detect because of this lack of testing procedures. Secondly, our cities cannot afford to treat our water to remove all the contaminants; the cost would be prohibitive. Consider that much of the water cites supply is used for showers, flushing toilets, laundry and even watering our gardens – we do not need to treat all of the water supplied to our homes just the drinking and cooking water we consume. So what is the solution? A quality home filter system, typically mounted under the kitchen sink, installed and used for cooking/drinking provides protection from the majority of toxins, and should give you the peace of mind of knowing your cooking/drinking water is safe. 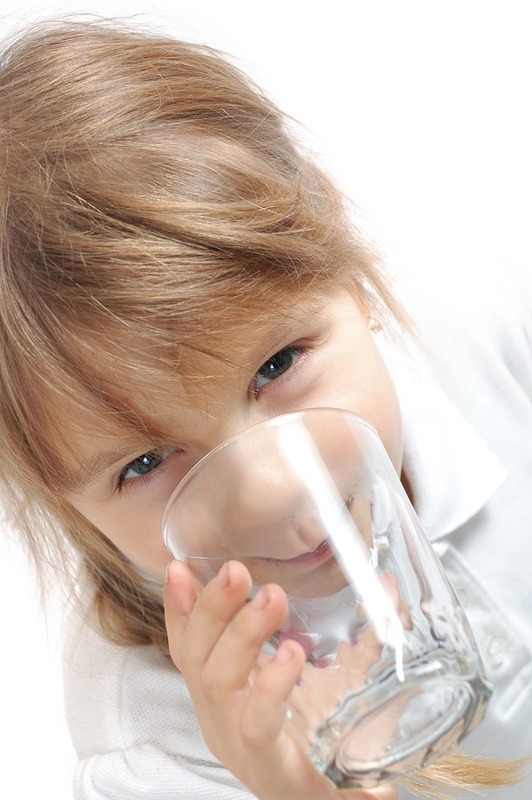 How do I make Sure my Families drinking water is safe? The very best choice of systems is an RO ( Reverse Osmosis) system. 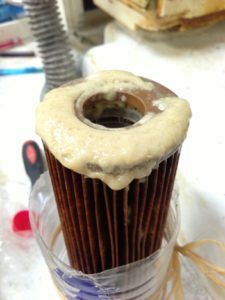 Why is a reverse Osmosis Filter best? Reverse Osmosis is a water purification process that uses a semi-permeable membrane to remove ions, molecules and larger particles from our drinking water . Water is forced through this membrane using the water pressure available in most homes (a minimum of 40 PSI is required) which removes most contaminants larger than .ooo1 micron. The majority of RO systems are fitted with a sediment filter first, followed by a Carbon block filter which removes sediment, chlorine, lead and organic material, before going through the RO membrane. 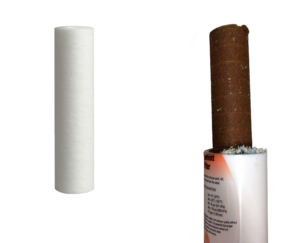 These pre-filters protect the RO membrane and ensure a longer life. The contaminants are flushed from the membrane and flow down into the drain line. The purified water typically passes into the RO storage tank for future use. This water is extremely pure, with up to 98% of most contaminants removed, including minerals. The result is very pure water but also very acidic water (low pH) when the minerals are removed. The healthiest option is to re-mineralise the water after the RO process, as the MineralPRO system does, resulting in very healthy, Mineral Alkaline water and a higher pH. Many times we have cut open filters to ‘look inside’ to see how bad the water is. Most people are very disgusted when they see what is actually in their water! 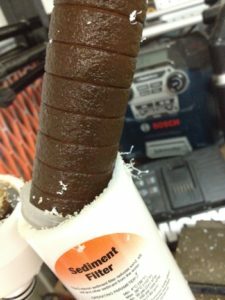 As we often say, “ YOU can be the filter or you can ADD a filter system to remove these un-wanted contaminants”. At MineralPro we think its vital to know that the water you get direct from your kitchen tap is safe. No boiling, bad taste or unknown chemicals to concern yourself with. All that peace of mind when things are not so clear about your municipal water supply PLUS the enjoyment of the best tasting water you can imagine and all the health benefits of clean filtered mineral water. Give us a call at 1-855-586-6667 or shop online by clicking here!